First time home buyers often feel lost, confused, or unsure where and how to start their path towards homeownership. 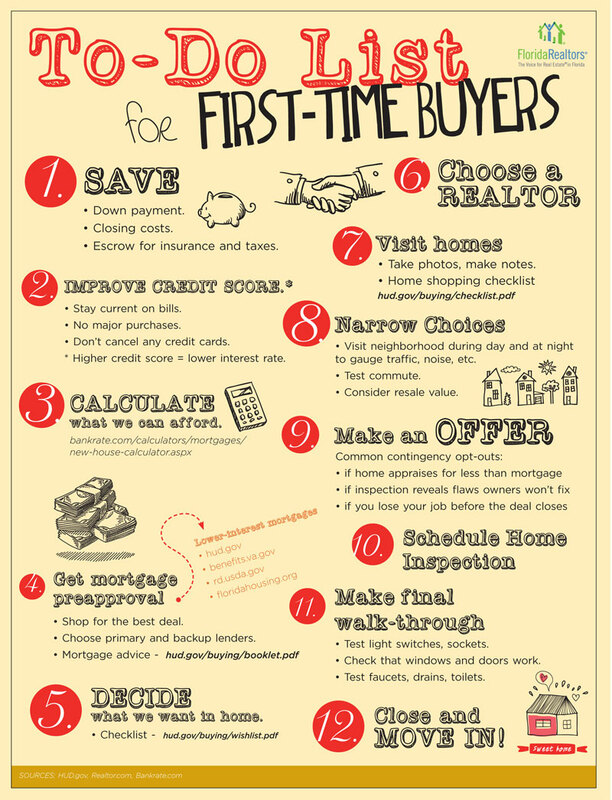 In addition to hiring a professional real estate agent, Number 6 on the list, here is a list of plans and decisions every first time home buyer will go through. You can also download the free To-Do List for First Time Home Buyers.